Get together for an open air movie night at the ECKKULTUR Dörfle village fair. 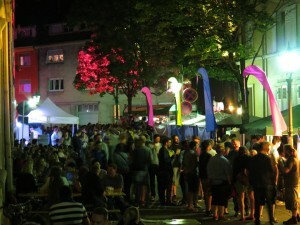 We will be located at Fasanenplatz, at the heart of the festival, and start showing short movies at 7pm. There is no entrance fee! Besides, there will be live music, art exhibitions and food+drinks.